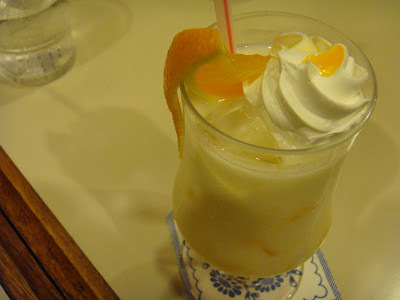 This is not the type of cafe that we will usually go, but we had no choice last Friday's night after we had our dinner in Shinjuku, and thinking to find a place just to have a cup of coffee. It is almost impossible to find a space to fit 6 of us. 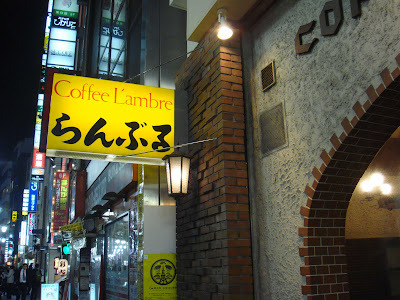 After some unsuccessful searching, we finally decided to try this place - L'ambre. It was really hard to imagine that the cafe has its main room underground with the height as shown in the picture above. 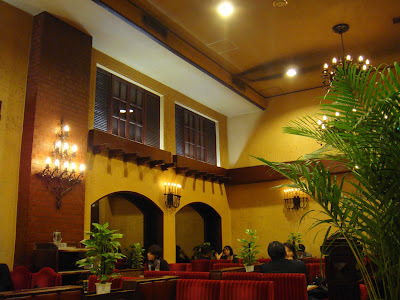 As you can see, it is a really old cafe. Even the ice cream and the drinks felt so historic. But we had our good time here. 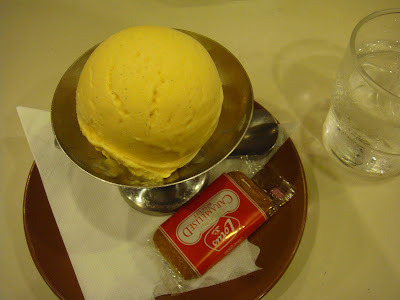 And we even decided to come next time because it surely saves our time to wandering around Shinjuku at night for cafe.